As a Naturopath I am constantly asked which diet provides the best weight loss results. A more pertinent question however is which one will work for you? Let’s explore some of the diets that are currently getting the most air time and see which one resonates with your weight loss goals. In the 1970’s Dr Robert Atkins revolutionised the diet industry with his low carbohydrate Atkins diet. This diet regime is comprised of four different phases, each requiring a different level of strict carbohydrate avoidance. Ultimately this leads to limiting sugars, grains, legumes, fruits and starchy vegetables, while redirecting focus to consuming red and white meats, butter, eggs, avocados, oils, nuts, seeds and non-starchy vegetables. In terms of weight loss, this approach does have it benefits, such as reduced hunger and a positive effect on irregular blood sugar levels. However, beyond this strong focus on carbohydrates, the Atkins diet does not place limits on how much protein and fat you can consume. Understanding metabolic processes, I’d call this a ‘buyer beware’ moment, because the body (through a process called gluconeogenesis), can easily convert protein into glucose, which is the body’s preferred choice of fuel. This means the body’s supply of glucose for energy is uninterrupted throughout the diet, preventing you from burning adipose tissue (fat stores) for energy instead. In addition to this, consuming large amounts of energy from calorie-dense fats, even if they’re ‘healthy’, negates the need for the body to dip into fat stores for fuel, as it’s already receiving enough from the diet. For these reasons, it’s important to ensure the adequate consumption of proteins and fats in a low carb diet, but to not eat too many that the body is in an energy excess rather than deficit. 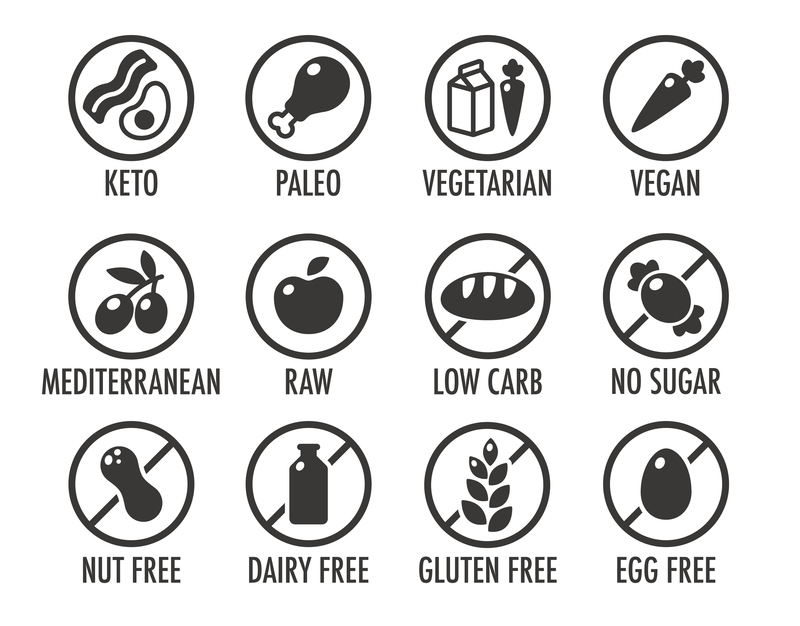 Alternatively, another low carb option is the ketogenic diet, which aims to balance dietary intake to a ratio of 50% fat, 30% protein and 20% carbohydrates. Limiting protein and fat in this way then allows the body to enter ketosis, where it burn fats for fuel (instead of glucose), and fat loss occurs as a result. 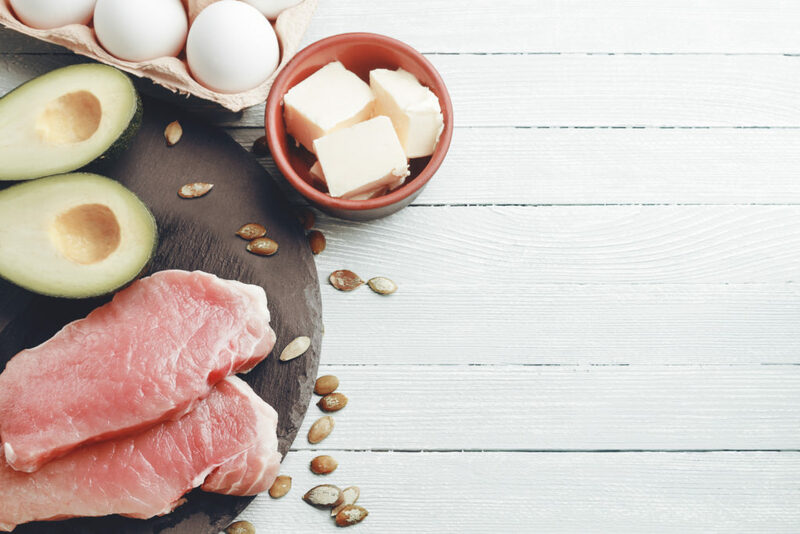 If you’re unfamiliar with the ketogenic diet, or want to see if it’s a good fit for you, check out our earlier blog here . On the other end of the spectrum, a diet low in fat also carries positive outcomes for weight loss. Low fat diets often focus on the restriction of fat intake to below 20% of daily calories, whilst maintaining 30% of the diet from satiating protein, and the remaining 50% from wholefood carbohydrates. The intent of this type of diet should be to encourage the consumption of naturally low-fat and high-protein foods, namely fruits, vegetables, whole grains, legumes and meats. Whilst numerous studies have found a low fat diet to improve markers like satiety, blood sugar regulation, and weight loss ,[i] this diet could be considered if you don’t tolerate fats well, if you’re vegetarian, or have an increased demand for carbohydrates due to high levels of activity or exercise. 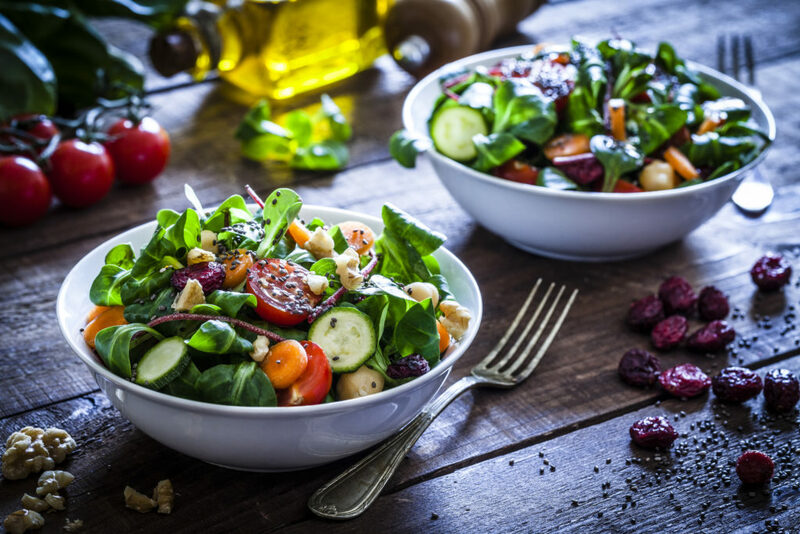 Pure wholefood eating is also an option, seen with the likes of the Mediterranean, Paleo or vegan diets, which all carry the common foundations of eating unprocessed foods sourced from nature. The differences then lie in the nuances, such as the promotion of fish, olive oil, and plant-based foods in the Mediterranean diet, the elimination of grains, legumes and dairy in the Paleo diet, and the avoidance of all animal products with veganism. Regardless of the variations, what I like about wholefood diets is that they epitomise nutrient density, and allow you to eat the foods that you typically enjoy. However, keep in mind these diets do not provide guidance on caloric or macronutrient breakdown, which are both keys for active weight loss. Therefore, following these diets to lose fat requires a sound knowledge of your nutritional requirements and to monitor your caloric intake. Further, you would also need to adeptly listen to your inbuilt signals of satiety and hunger, which can be easily confused by today’s increased portion sizes and any emotional or habitual attachments to food. Regardless of the diet you choose, a caloric restriction is commonly required when it comes to weight loss, not just restricting food groups such as carbohydrate or fat. In fact, the magic zone for sustainable weight loss occurs when the right macronutrient intake keeps you full and satiated, whilst a calorie deficit simultaneously leads your body to burn fat for energy . Therefore, look for a diet that contains foods you like (and will hence stick to), but also ensure it takes macronutrient and caloric intake into consideration. This will be your best option for reaching your weight loss goals. If we then look beyond food alone, factors such exercise, your environment, habits and social factors also strongly influence weight loss or gain. This means losing weight, and keeping it off long term, needs more than just a diet alone. For these reasons I personally recommend working with a Practitioner throughout your weight loss journey, so they can tailor a diet specifically to you, and ensure its satiating, wholefood based, macronutrient balanced and creates a calorie deficit. A Practitioner can also then work with you to utilise specific behavioural strategies which ensure any physical, mental or emotional roadblocks to your weight loss goals are addressed. When you approach weight loss in this holistic way, it creates a foolproof plan for your success. So what is the best diet for weight loss? Well, it’s the one you can stick to, that also encourages filling up on wholefoods, the right macronutrient balance for your body, and a level of calorie restriction. To find a qualified Practitioner you can work with to reach your weight loss goals with ease, click here . [i] Katz DL, Meller S. Can we say what diet is best for health? Annual review of public health. 2014 Mar 18;35:83-103. Renee is a qualified Naturopath with significant industry experience in retail, education and clinical practice. Using her diverse skills she provides evidence based natural health information to support Practitioners and patients in optimising health goals. Renee is passionate about and specialises in metabolic disorders and sports nutrition, along with female health conditions including fertility, preconception, pregnancy and post-partum health.